In 2012, aware of the approaching STEM tidal wave and the necessity of having a viable IT-ready facility, the Marion I. and Henry J. Knott Foundation granted Trinity $81,000.00 to kick off Trinity's technology initiative. Moving to the present, in September of 2016 the Development Team began work on a proposal to the Knott Foundation requesting their support for our ongoing technology upgrades. Maintaining our edge in the realm of education technology is critical to the success of Trinity's curriculum, particularly in the areas of science, math and STEM. Every day, all students, from the youngest to the oldest, benefit from the effectiveness of our wireless infrastructure, our iPads and ancillary IT equipment. 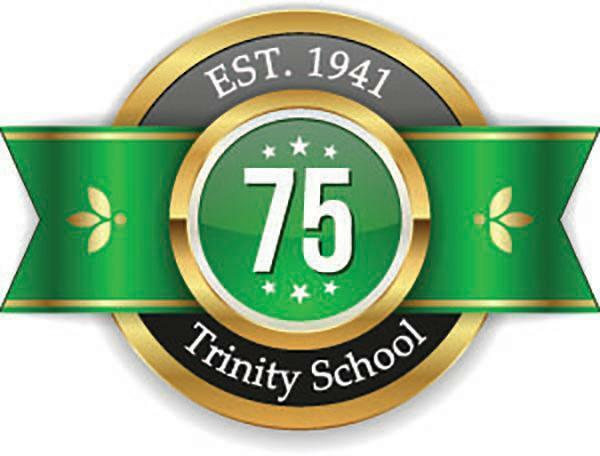 Yesterday Trinity received a call from the Knott Foundation informing us that Trinity will be awarded $82,400.00 to further our technology goals. The most important thing to remember is that everyone at Trinity played a critical role in the Foundation's decision to grant such a large amount. I would like to thank the administrative staff who helped with the data pertinent to their departments. Patty Lill - business manager, Kathy Spiegel - assistant business manager, Christine Walsh - admissions director, Karen King - administrative assistant. I would also like to thank Sr. Catherine, Mr. Rickbeil and Mrs. Martinez, who were present at the interview conducted by a Knott Foundation Trustee, for their support and detailed information regarding the impact of educational technology on students and teachers. I would like to thank David Godfrey, IT manager, for carefully researching our whole- school technology needs. Mr. Godfrey handled the grueling questions posed to him with confidence, providing backup data and detailed pricing and line item descriptions. My thanks to Mr. Tom Pilon, Board of Trustees Chair, for encouraging the Board to participate 100% in Annual Giving. Thank you to Meg Ignacio, chair of the Board Development Committee, and thank you, Trustees, for maintaining the Board's tradition of 100% participation with your contributions. The Knott Trustee was pleasantly surprised that this is a longstanding achievement, which cannot be said for all schools. Thank you, Trinity Faculty and Staff for being the personification of the mission of Trinity School. Your participation in Annual Giving was also noted as was Trinity's Green School award, especially in the area of Chesapeake Bay preservation. That each school and preschool has its own Annual Giving faculty-agent who is well versed in encouraging their peers to give beyond measure was commended. A noteworthy observation by the Knott Trustee was the participation of our awesome Grandparents who contribute their time and talents by actively participating as volunteers, stepping in for our all too busy parents, sponsoring their own activity - the Father Daughter Dance, and raising their Annual Giving percentage each year. The presence of Trinity alum as current parents, faculty and the induction of graduates into the Alumni Association show Trinity rising to the challenge of maintaining contact with former students, particularly in the social media market. Our parents received congratulations for their awareness of the importance of both the school mission and the challenge to reach 100% participation in Annual Giving. From monetary contributions to fundraising to serving pizza lunches, Trinity parents live the mission and carry the positivism into our surrounding community. As one parent recently said, "I find my joy in helping out at school. It is the best way to be a part of what is happening in my childrens' lives while they are at school." The strength of Trinity is our parents who sacrifice so much to give their children an education based in Christian faith, who help their children with positive encouragement, and who work together as a family joined with the common goal of giving their children what they need for life. From monetary contributions to fundraising to positions of Trinity service, Trinity parents live the mission and carry the positivism into our surrounding community. The focus of the interview was our mission, our growth and our readiness to move toward the future. I humbly express my appreciation to all of you who, in spite of the challenges of today's world, dig in your heels and let your hearts guide you to providing the gift of Trinity, a firm education and life foundation, for your child.